#Manchester Council promises 5 “Climate Week” events. Delivers… 0. Where are the promised 1/4ly progress reports? How do we know? Certainly NOT because the Council released the information in a timely and easy-to-digest manner. In July 2014, despite repeated lobbying, they refused to release a report on what they actually achieved of the “Annual Carbon Reduction Plan 2013-4”. It was left to a group of Manchester citizens to submit Freedom of Information Act requests just to obtain basic information about what the Council had (not) done. 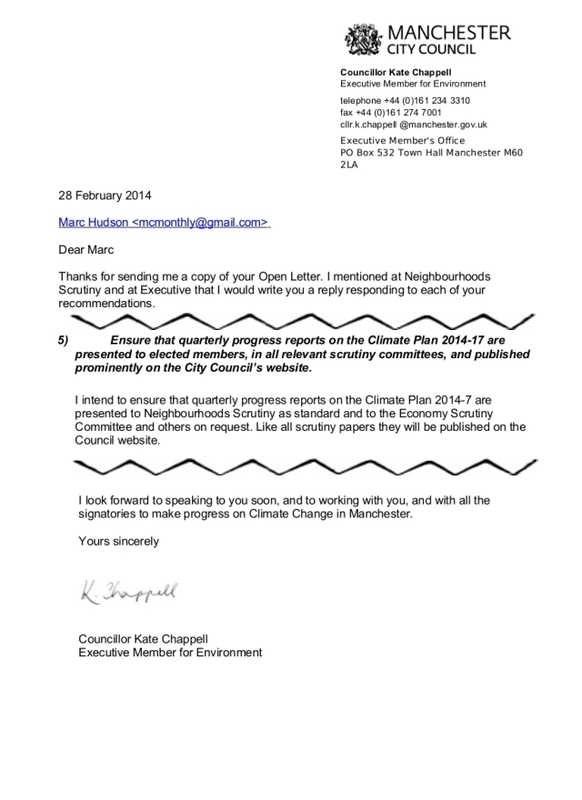 2 Responses to #Manchester Council promises 5 “Climate Week” events. Delivers… 0. Where are the promised 1/4ly progress reports? Last I heard, many e-mails are not getting through to councillors because the council’s IT system is on the blink. Yep, I’ve heard that too. If they can’t even sort out an IT system, or training for their own councillors to be “carbon literate”, why should we trust them on anything else?